I have no idea what half the words in that title even mean, but it is the name of the recipe I tried out yesterday. Nick and Toni’s is a popular restaurant out in East Hampton and the chef was featured on an episode of Barefoot Contessa. This pasta dish is basically Penna alla Vodka “with the volume turned up” (as BC would say) and I liked it, but didn’t initially LOVE it. The first time I made this I followed the recipe exactly and found that all that fresh oregano gave the sauce a very perfume-y taste I didn’t enjoy. This time I left it out (read: forgot to buy fresh oregano) and I enjoyed it more, though I did tweak a few other parts of the recipe as well. Here is the recipe as it was presented on the show. My slight variation is below. Heat the olive oil in a large oven-proof pan/dutch oven. 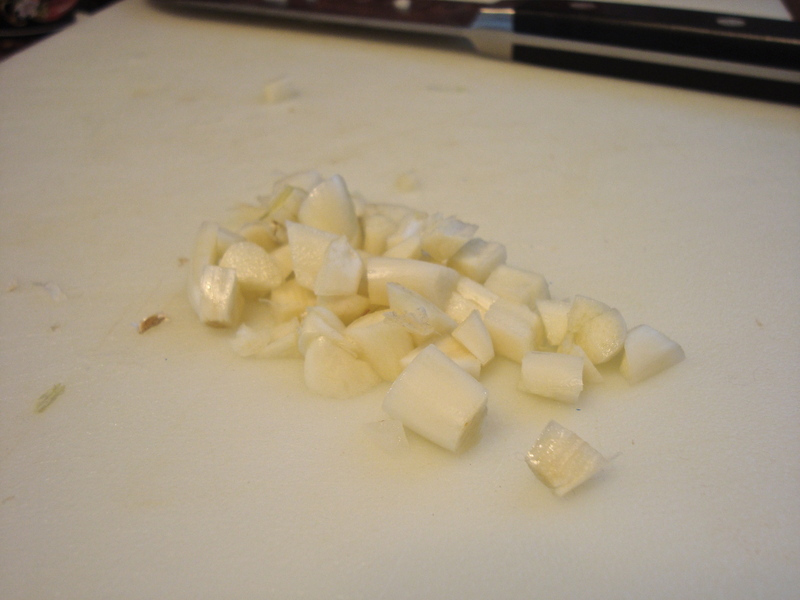 Saute the onions for five minutes over medium heat, stirring occasionally to make sure they don’t burn. 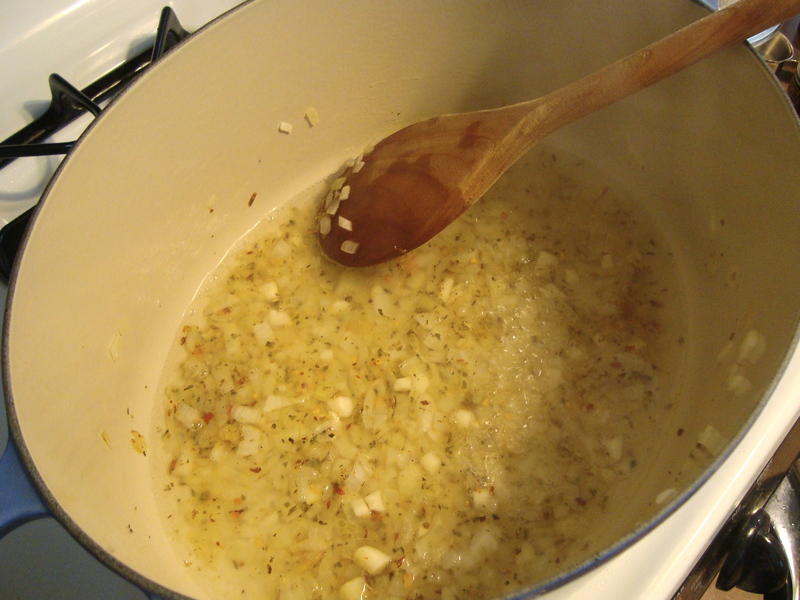 Add the garlic and saute for one minute. 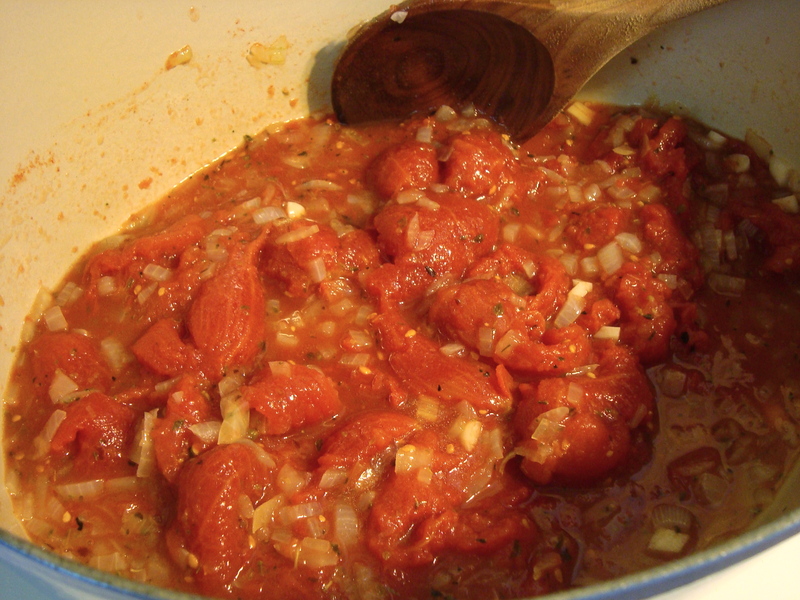 Add 3/4 of the oregano (1 and 1/2 tsp) and saute for another minute. 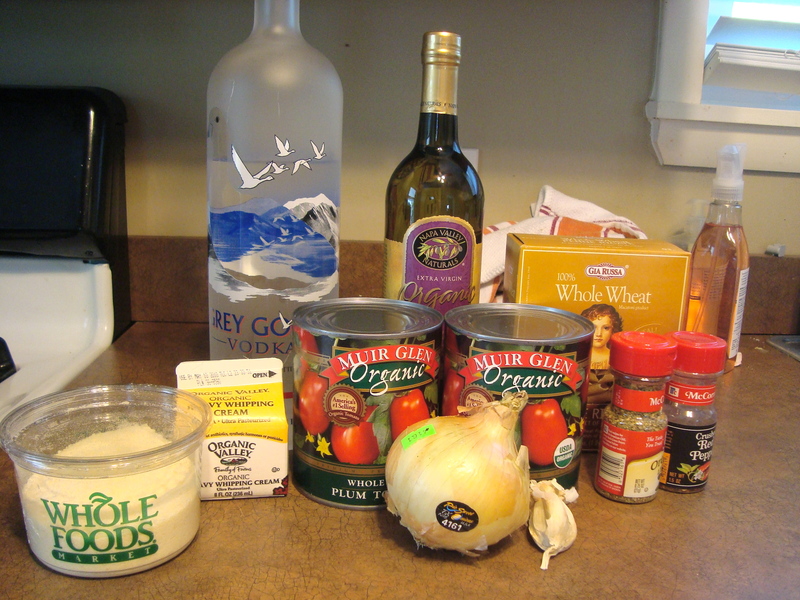 Add the vodka and cook until the liquid is reduced by half (about five minutes). 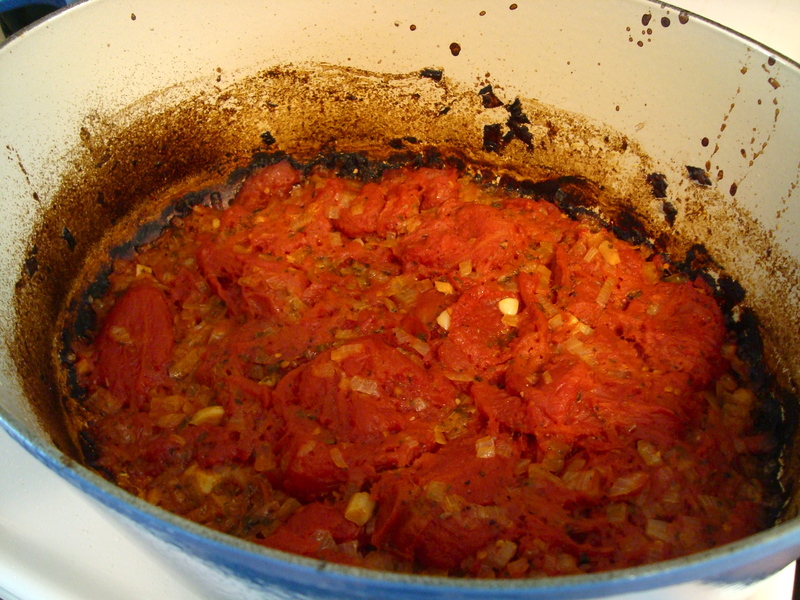 Drain the tomatoes or just pluck them out of the can one by one and crush them (by hand) into the pot. 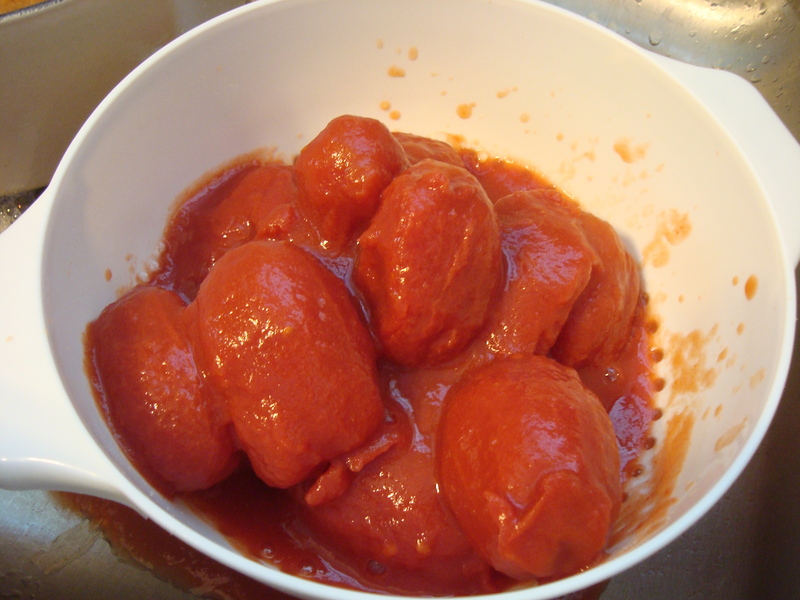 While you don’t want the sauce/puree that’s in the can, you do want the juice that’s in the tomatoes. 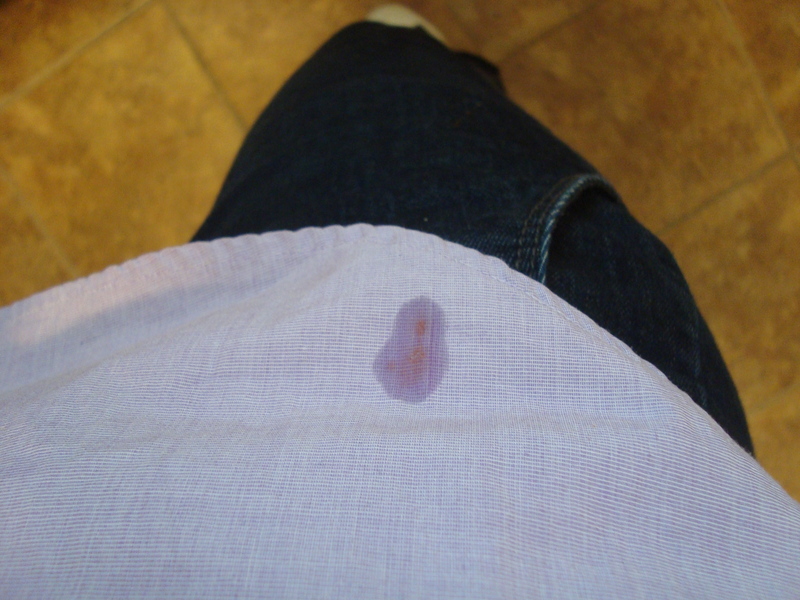 The tomatoes really squirt so you should probably wear an apron. Oops! Add the salt and pepper and stir it up! Cover the pot with a tight-fitting lid and bake for 90 minutes. This really concentrates the flavor, which in the end, you may or may not like. Toward the end of the cooking, you should prepare the pasta water. 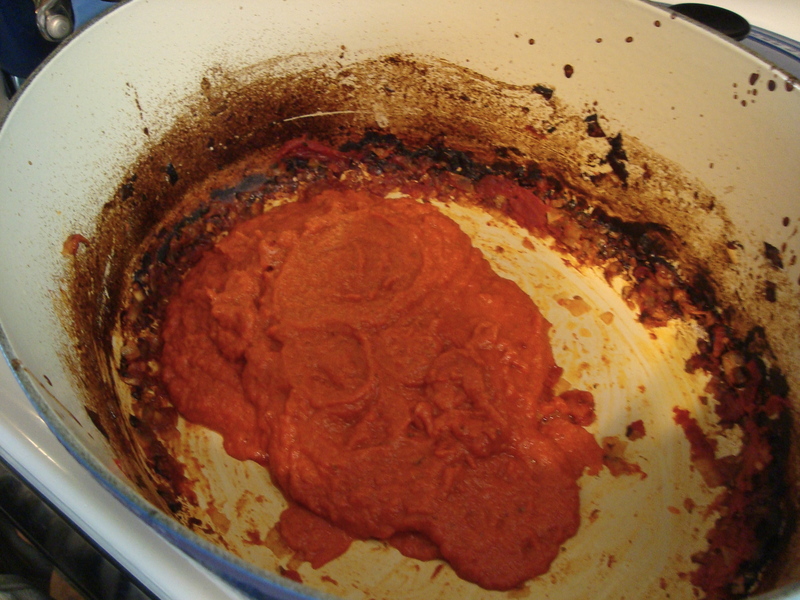 This is what it looks like after you cook it. Let it cool for 15 minutes and then spoon the mixture into a blender. Blend for 30 seconds or so until it’s smooth. 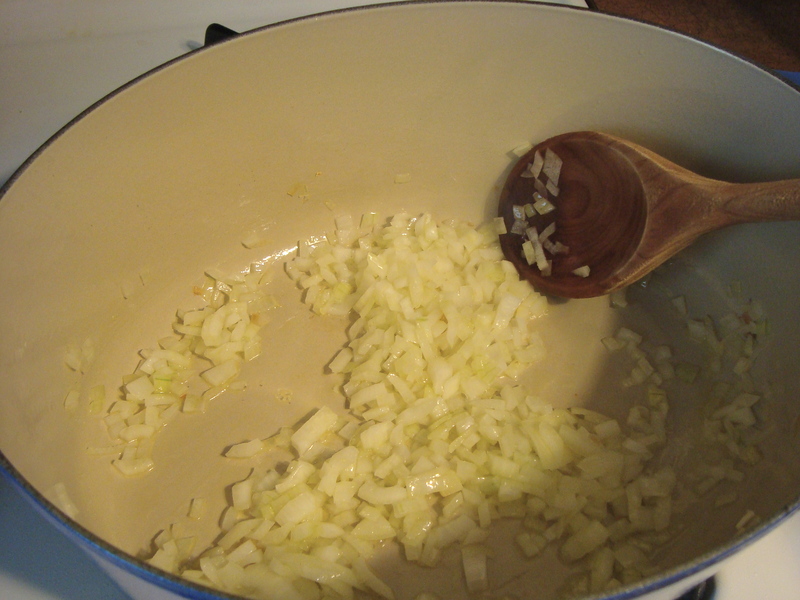 Add it back to the pot and add up to a cup of heavy cream to achieve the right consistency. Add another half a teaspoon of oregano and season if necessary. Heat over a low flame for about ten minutes and add the parmesan. Combine with pasta and enjoy! I don’t have a final product picture because I ate it…sorry!